With many South Africans drowning in debt, it’s no surprise that people are taking out more credit to cover another. But what if we told you that we have a long-term solution, to get you out of debt once and for all? Apart from what you should do to get out debt fast, we’ve also included a list of things you shouldn’t do to get out debt quickly. It’s easier to be in denial than to face your challenges head on, but the worst thing you can do is pretend that your outstanding debt doesn’t exist. Contrary to what you might believe, ignoring the debt doesn’t mean that it’s not there. All it means is that your interest and penalties are adding up and the total that you owe to the creditor is increasing as you neglect to acknowledge it. Once you’ve moved beyond being in denial, now is the perfect time to draw up a list of all of your expenses and income. This will give you a true reflection of your financial situation. List all of your priorities, like your rent or bond, vehicle finance, groceries, electricity, transport costs, etc., these are the expenses that you can’t miss. Compare that with your income to see if you’d be able to pay extra on an account with the highest interest off first. Try to apply the 50/30/20 rule to boost your budget. This might not be an easy option for everyone, but if you’re working in the creative industry, like social media, graphic designing, social media management, or if you have a hobby like photography, you are able to offer your services on a freelancing basis. Be creative with this one, if you have a reliable car, you could consider becoming an Uber driver after hours. If you have a luxury car, you could consider driving matric ball couples to their destination. Or sell some old possessions, like your old phone that you just set aside when you got a contract upgrade, some outdated clothes, or that juicer you bought when you decided to go green for a week and never used again. Services like Facebook Marketplace, OLX and Bidorbuy makes it easy for you to sell these unwanted items online. Although this may not be a long-term solution, you could use the money that you make as an extra payment on the highest interest account, as you work towards paying off that account. As mentioned above, pretending that your debt doesn’t exist, is the worst option. If you are truly unable to make an instalment, you can speak to your creditors. They might be able to make an alternative arrangement for you. You could have your instalment reduced and pay off an account for a little longer than you initially agreed to. If you’re over-indebted and want to do something about it, don’t stick to what you’ve been doing. Being over-indebted means that your money management strategy needs a bit of a shake up. What to do instead: start changing the little things. For example, if you buy coffee everyday, try to make your own coffee. If you buy lunch everyday, maybe choose your busiest day in the week and only buy lunch once per week. If you have more than one account that you’re trying to pay off, pay off the account with the highest interest rates first. Note: this doesn’t mean that you have to fall behind on your other repayments. Allocate money to the minimum payments of every account. Once you start saving, allocate extra payments with the extra money from the cuts you made. What to do instead: Simply pay the minimum instalment on the accounts with the lower interest rates and pay extra on the account with the highest interest rate. Try and cut costs in other ways. Spend less money on entertainment, and use that money to get out of debt. Not many people know this, but closing your accounts once you’ve completed payment on an account could have a negative impact on your credit score. Keep these accounts open and only make the minimum payments every month. This will reflect as positive credit behaviour. What to do instead: keep accounts open that have been paid up, in order for it to reflect positively on your credit record. There’s a reason why credit bureaus offer one free credit report every year. If you’re not taking advantage of this, you could be putting yourself at risk. Your credit report gives you a clear depiction of your payment behaviour. It will also make you aware of any fraudulent activity taking place on any of your accounts. What to do instead: get your FREE credit report from any credit bureau and check for any inaccuracies that could be contributing to a negative rating. If there are any discrepancies, contact the credit provider or bureau immediately to dispute them. If you’re over-indebted, the last thing you want is to feel like you’re on your own. Lean on the support of friends and family. If they’re unable to assist you financially, moral support goes a long way too. If you’re at the point where you feel like you need professional intervention, there are many options available to you. 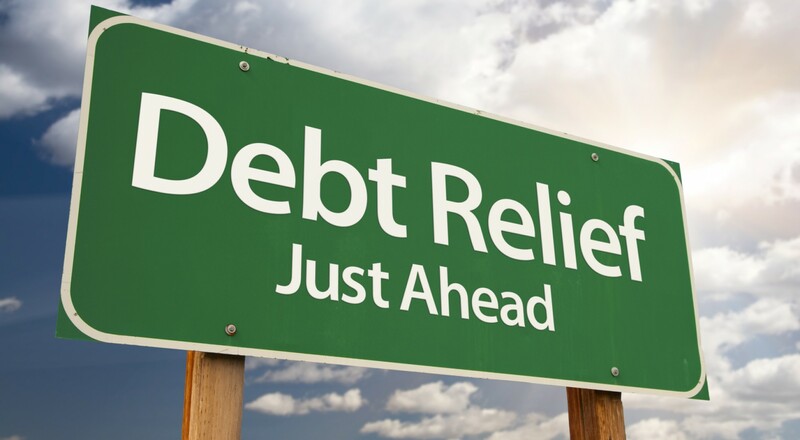 What to do instead: the National Credit Regulator (NCR) has introduced debt relief interventions, like debt consolidation, debt counselling, and debt review, that makes it possible to consolidate your monthly debt repayments into a single payment every month. If you’re struggling to keep up with payments on your debt, perhaps it’s time to look into options available to reduce your monthly payments. Simply complete our contact form and we will call you back for a FREE debt assessment. Let us ensure that you have more money in your pocket at the end of the month.